Press Release: The Designing 007: Fifty Years of Bond Style exhibition will open in Paris, France on 16 April. Since its successful debut at the Barbican Centre, London in 2012, Designing 007 has toured major cities including Toronto, Shanghai, Melbourne, Moscow, Rotterdam, Madrid, Mexico City and now Paris. The exhibition will be housed in the Grande Halle De La Villette until 4 September 2016 and celebrates 50 years of the James Bond franchise focusing on its influence on art, music, lifestyle, automotive design, travel, technology and fashion. More than 500 items will be on display including gadgets, costumes, storyboards and props from five decades of Bond. 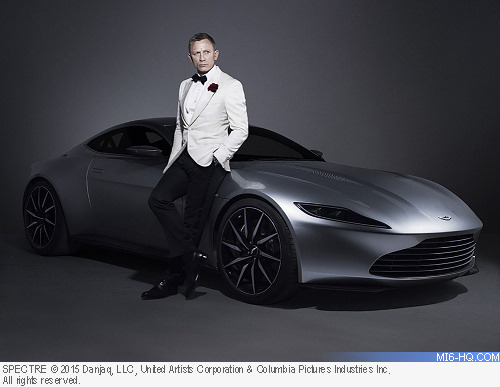 There will also be a chance to see exclusive items from SPECTRE. For more information visit the event website.